The comfortably furnished, 2-person chalet (NL-5062-23) is equipped with the latest conveniences and has a separate bedroom. 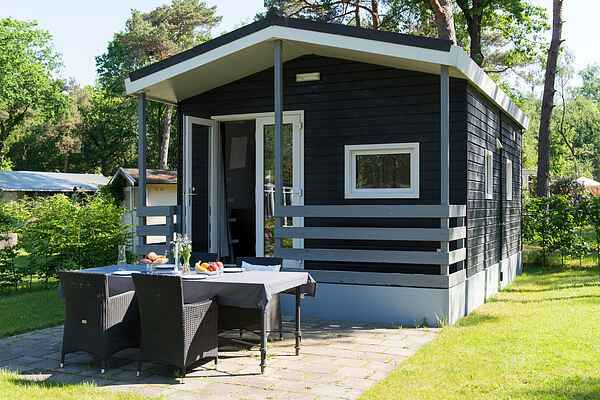 The CampLodge (NL-5062-24) is ideal for people wanting to experience the rustic feel of camping in the comfort of a chalet. You will have your own kitchenette and indoor plumbing. Both types let you enjoy the beautiful outdoors from your own terrace with garden furniture.